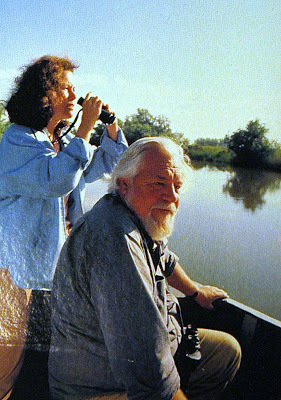 In 1984, Gerald Durrell and his wife Lee made an unprecedented trip to the then-USSR to make a 13-part TV series consisting of 30-minute documentaries about Soviet wildlife reserves. The Durrells’ visit behind the Iron Curtain preceded Mikhail Gorbachov‘s perestroika and glasnost reforms, and they and their film crew (funded by Soviet and Canadian interests as well as the UK’s Channel 4) were the first Westerners to film Soviet wildlife. I’m going to watch the series and post about episodes, as time allows. 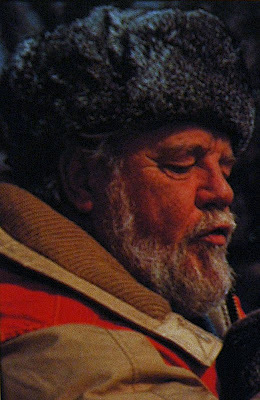 In 1986, the TV series was broadcast in the US, with the New York Times describing Durrell as a “jolly bearded bear of a man who at holiday time must make a memorable Santa Claus“. More remarkably, the series was even broadcast on the USSR’s Channel 1, starting on January 2, 1988. (Durrell is very popular in Russia and his books have been translated into Russian and are still sought-out today – so it must have been fascinating for people in the then-USSR to watch the series, although I wonder if it was edited at all). Equally remarkable is the amount of organization and cooperation that must have gone into making such a trip possible. 1. The Other Russians – Gerald and Lee visit their colleagues in Moscow and visit the Moscow Zoo. Posted on September 17, 2012 by Joanna Paraszczuk. 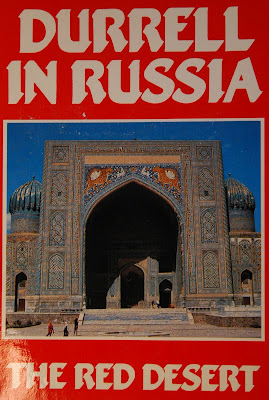 This entry was posted in gerald durrell and tagged documentaries, Durrell, Durrell Family, даррелл, даррелл в россии, ли даррелл, Gerald Durrell, Karakum Desert, lee durrell, ссср, Repetek Biosphere State Reserve, russia, USSR, wildlife films. Bookmark the permalink.